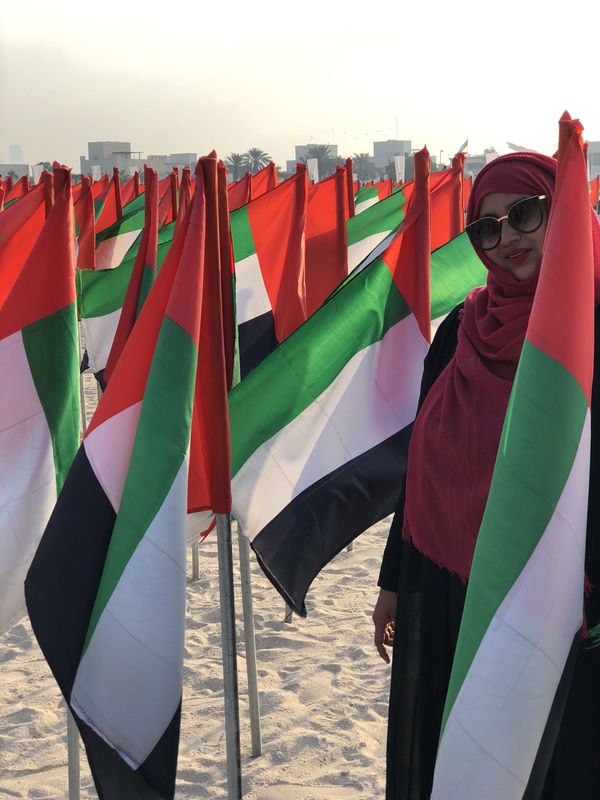 I am a dubain, lived all my life in UAE 🇦🇪. If this country gives citizenship I wouldn’t not think twice to take it up . The country which molded up me to what I am today . Country where I want to raise my kids. We are spoilt by so many choices and luxuries here . This country and its rulers have promised to give the best to its citizens no matter from where you are , we live here as one community. Diversity of the nationalities and religions is what makes this country the best . 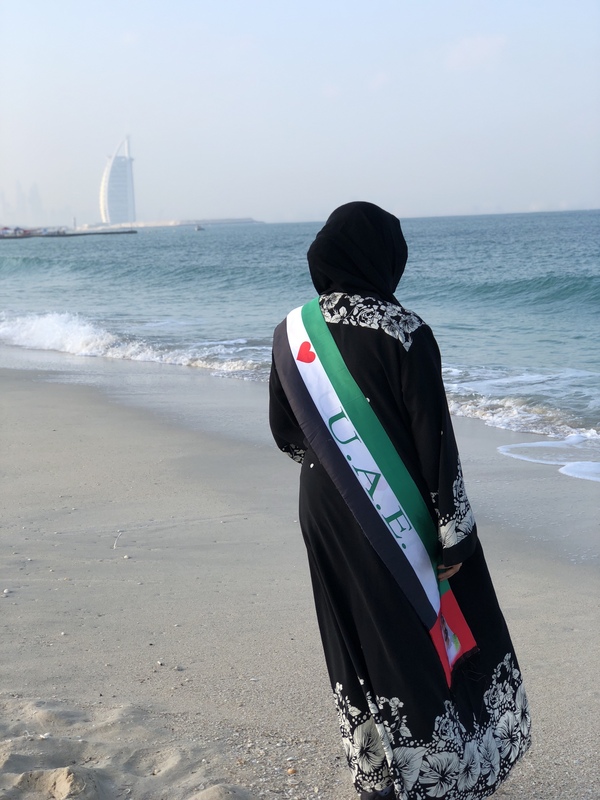 I can go non stop about this place ….. More than that the place where I started my Blogging Journey, this space (my Blog ) is the biggest blessing Allah has bestowed me with now …… so many new friends , good vibes and positive energy is what my Blog has given to me to date . 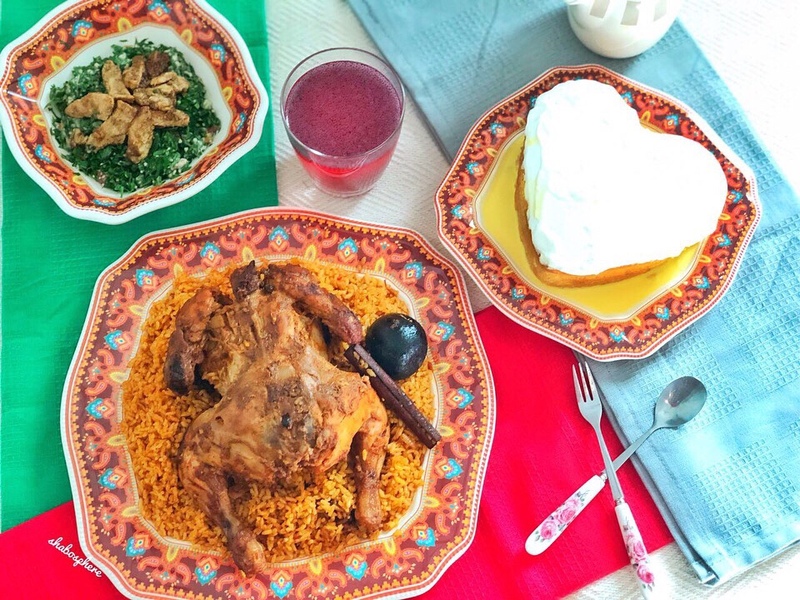 For the 2nd of December I did celebrate the spirit of the countries celebrations with some cooking , the idea was from Ms. Dr. Shameem the brain child behind an online Fb food community. They requested me to share in a national day special cooking , to show in their cook along session . 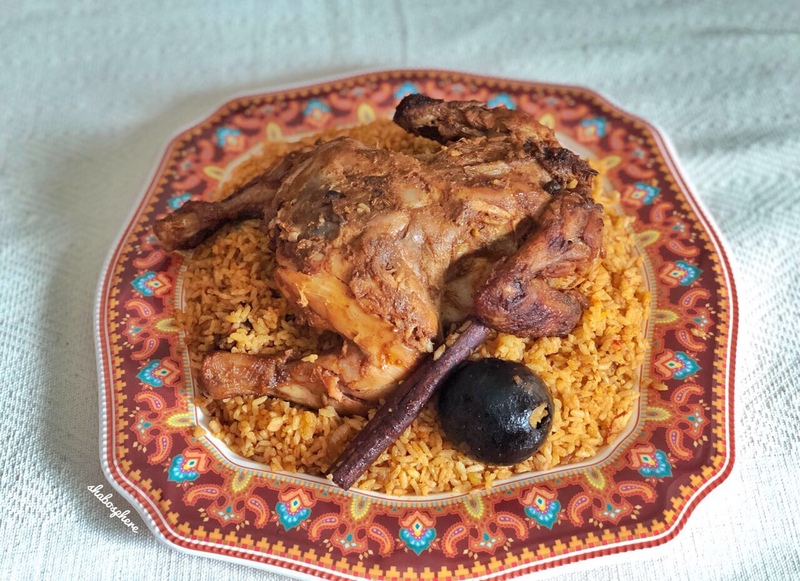 https://www.facebook.com/jorenqer/ So that was Two weeks back to cook up for the long national day holiday weekend an Emirati cuisine . It was a challenge for myself, back to my kitchen to cook and shoot and click pic ….. and I wanted a dish that had something from here and something from me too …. Thanks to Rini the team behind Jorenq cook a long for challenging me to do this . After thinking of many recipes , I came up with a simple menu of. So let’s get into the dishes and the recipe . 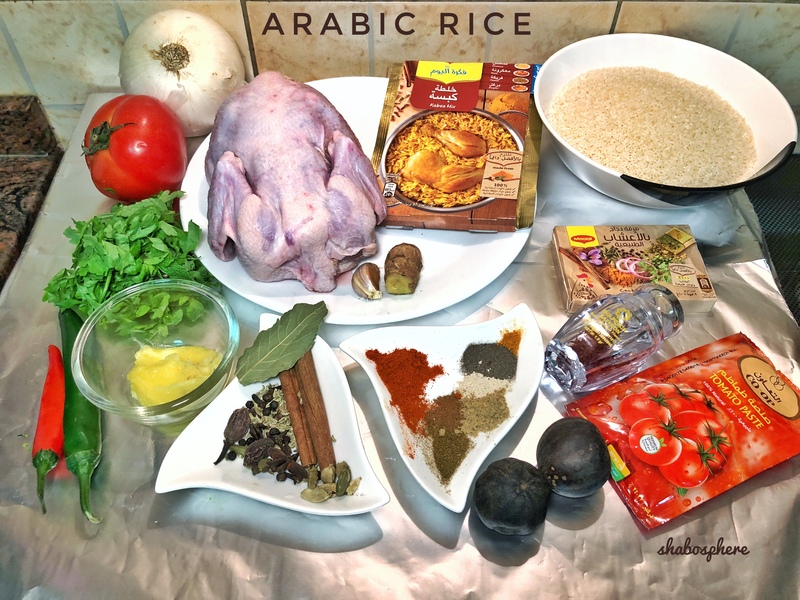 Arabic Rice requires four main ingredients one is the Arabic masala it could be store bought , I am using store bought but will share my home made recipe also . The other are the dry lemon, tomato paste and last one is charcoal (if you don’t have charcoal a small piece of wood or coconut shell will also do the work ). Rest all ingredients are just like the biriyani, but much easier and simple . 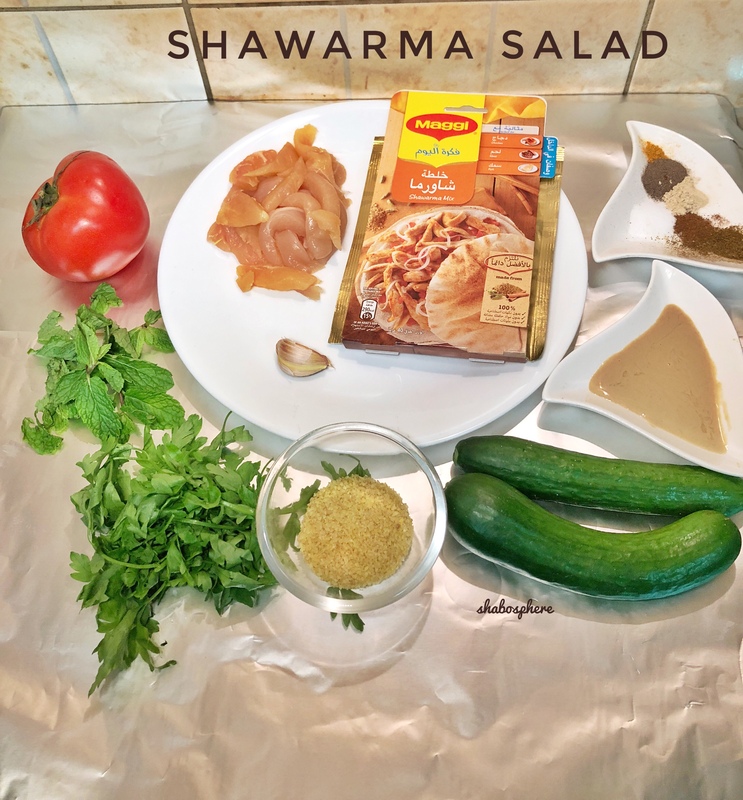 Shawarma salad also requires shawarma mix , I am using store bought but will share the home made recipe . Then you need small broken wheat called bulgur, it’s common in Middle East . I am not sure in india if you could get , if not avoid it . And yes we need tahini sauce (sesame seed paste ) . You get to buy this in all supermarkets in Middle East . 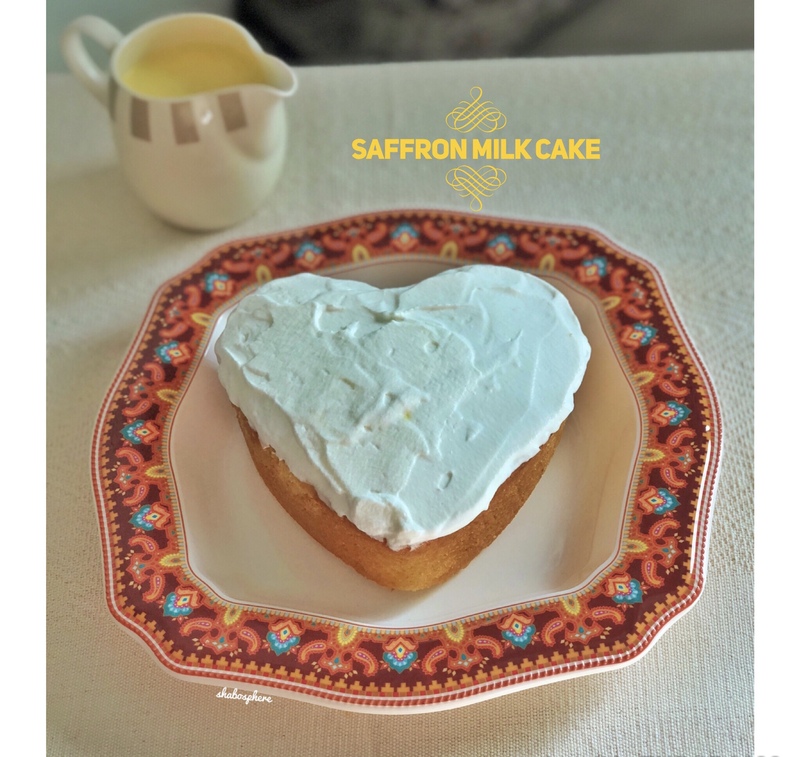 The Saffron cake was the actual highlight of this cooking , you can bake a cake from scratch I am sharing it or else can make by using a cake mix . Today it’s a cake mix I used , if you Can shop yellow cake mix . Yes we need good amount of saffron as that’s the flavor , if you don’t like saffron substitute it with any other flavors could be pistachio , Rose , lavender , green tea , Karak chai etc…… . For the milk sauce evaporated (tin milk ) is required , if you can’t get it then don’t worry just boil normal milk and reduce its quantity and add normal cream to it so it becomes a thick creamy milk . 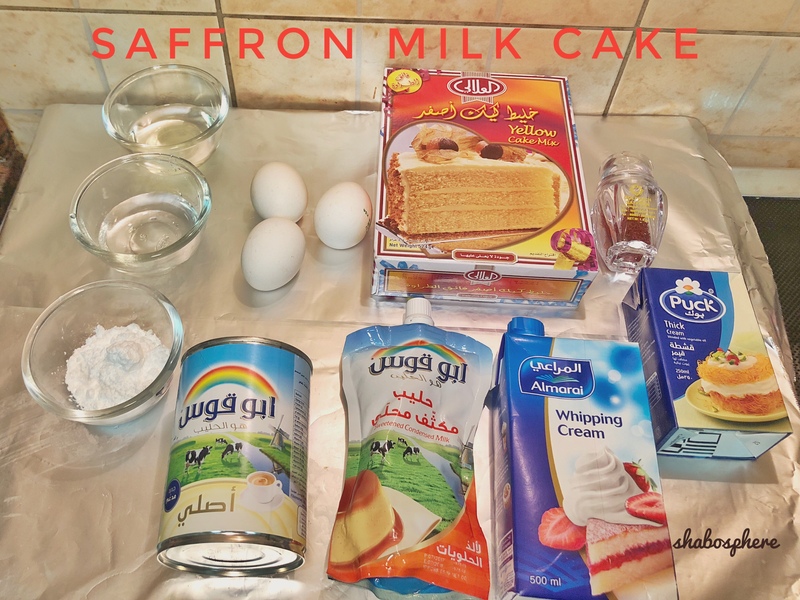 This cake can be baked in oven or in non stick pan on top of the gas stove . • Set the paprika and nutmeg powders aside. Place all remaining ingredients (whole seeds, cinnamon stick and clove) in a small frying pan and dry roast and grind to powder . Add the paprika and nutmeg and grind all the ingredients to a fine powder. Can use for later too . To the pan add the onion and sauté , add in ginger garlic and sauté . Take 2tbs of masala and keep aside and to the remaining add in the tomato purée and salt . Once the chicken cooks take it aside and add the rice to boiling water and keep on dumm and cook in slim fire for 20-30 mins check if more water or salt needed and add in too . To the cooked chicken ,rub the tomato masala paste which we kept aside . And add little olive oil and bake in oven both sides or in a fry pan . (You Can check for flavours, if you feel less salt or spice do add in little pepper powder and garam masala) 180 15 min just to roast both the sides. Check the rice , it would be cooked now we will smoke the rice . Place the chicken on top of the rice . Heat a piece of charcoal , you need a steel bowl (if you don’t have just cover glass bowl with aluminum foil like I did ) . Keep the bowl in the rice , to the steel bowl , place the burning charcoal and add little olive oil and when it starts to smoke close the lid and keep in sim fire for 5 min . A good smoked flavor would come up . Your rice is ready to serve , ideally a tomato salsa (chutney) is the best. But today I am sharing a salad . Add the marination to the chicken and keep aside and mean while chop the leaves and tomato. Soak the broken wheat in little water , it will dry up the water and be ready to use . In a pan add olive oil and add the marinated chicken and sauté and shallow fry . 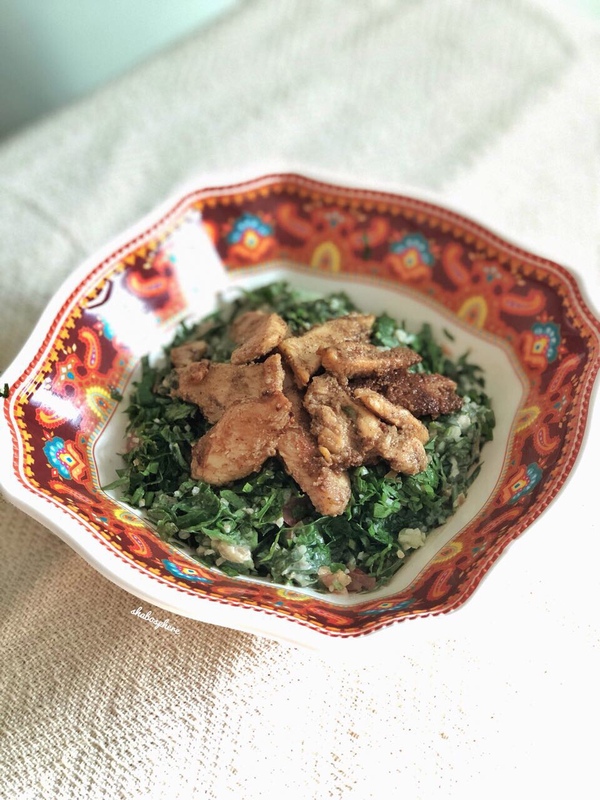 In another bowl add cucumber, leaves , garlic, tomato, bulgur,tahini, olive oil , lemon juice and salt and mix well and plate it and keep in fridge to cool . Then before serving , add the shawarma flavored chicken pieces on top . •	1 tsp ginger garlic or dry powders of same . Saffron -1/2 to 1 tbs infused in 1/2 cup of water . Can increase or decrease the saffron according to your taste . If your adding whipping powder then be sure to reduce the quantity of condensed milk in the milk as it would be too sweet . Beat the cake mix according to the packet instruction and then add the corn flour and saffron water and mix it well and bake in oven according to the instructions or can make it in a greased nonstick pan over a sim fire . When the cake bakes , allow it to cool for few minutes and take it out and prick it with a toothpick on both the sides and then pour the normal sweetened milk and allow it cool completely . Once cooled , add the icing of fresh whipping cream and keep it in fridge to set for 1-2 hrs minimum . 3 hrs is the best . When it’s cooled and set then cut into slices and serve with saffron milk . 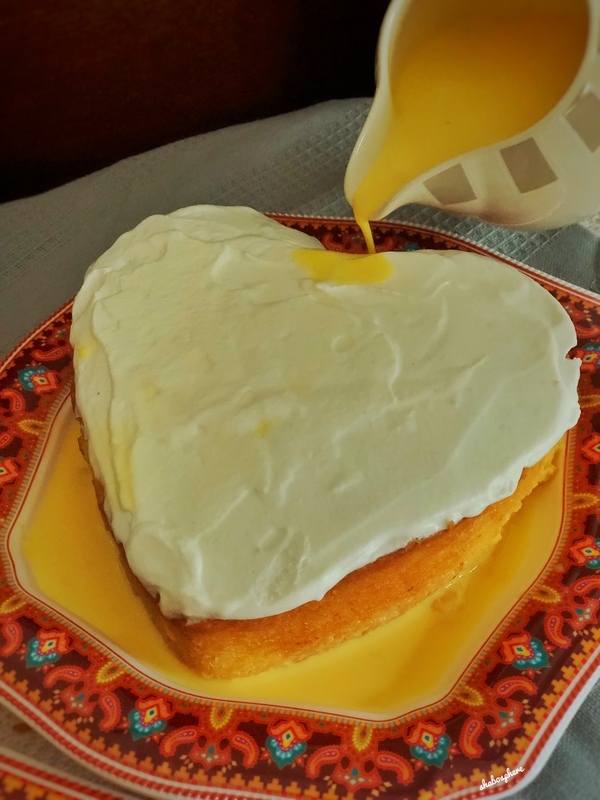 Flour -1 cupSugar -1 cup ( i just powdered so it’s easy to mix)Egg-3 nos if big and 4 if it’s small ( I used 4)Corn flour -1 TbsBaking powder-1/4 tspVannila essence – 1 tspYellow colour – small pinch The most important step for this cake to be soft is to beat the egg and sugar really fluffy pale yellow colour. Beat egg and sugar togethere , really fluffy to that add rest of all the dry Ingredients (corn flour , baking soda ) and fold in to get a super silky batter . 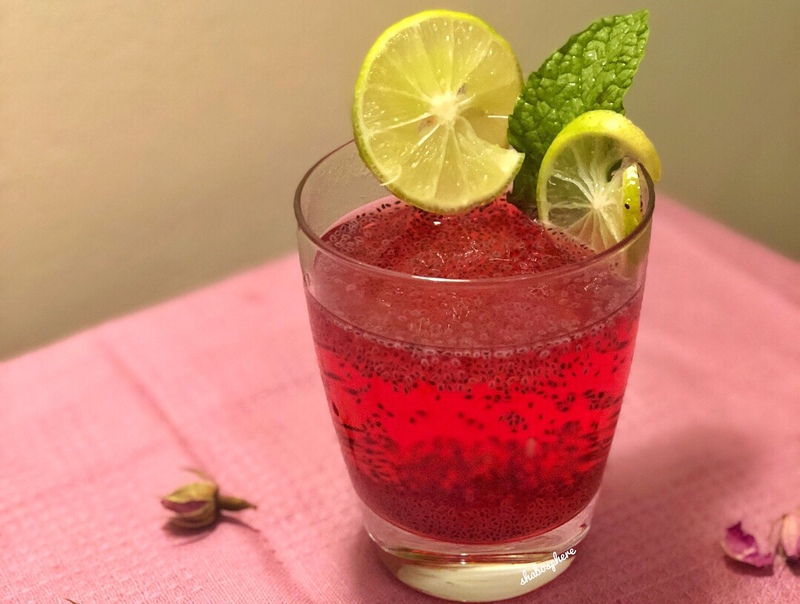 Bake it 180 for 30-35 min ROSE LEMONADEI made this as I had excess of rose Syrup if you don’t have just boil little rose petals , sugar and little rose essence to make the syrup .Rose syrup-2 tbsBasil seeds – 1 tsp (khas khas) add water and soak it . 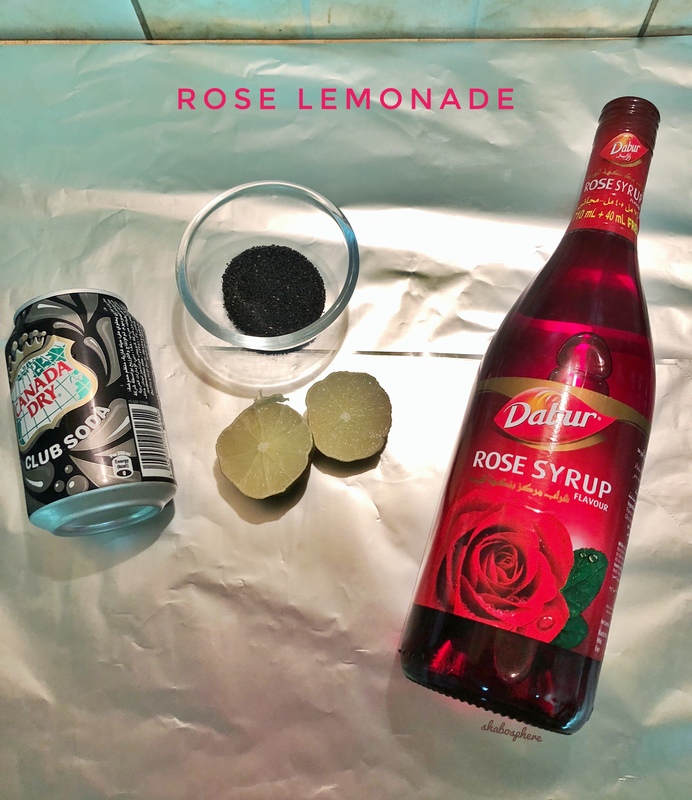 Lemon juice – 1 tspSoda -1 CanMix all together add in ice and serve . If you want it more sweetened , then add in sugar or sugar syrup .Hope it’s easy and you guys make it . I have video of same in my YouTube channel do check out . Next articleDubai Safari Day Out.